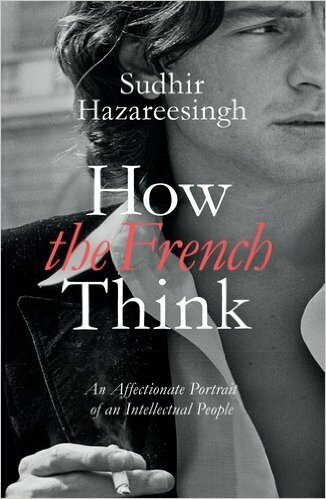 I have just finished reading Sudhir Hazareesingh's How the French Think: An Affectionate Portrait of an Intellectual People (Amazon link here). I am grateful for Mark Lilla’s generous and probing review of my book How the French Think: An Affectionate Portrait of an Intellectual People [NYR, October 22]. However it begins with a basic misunderstanding: on offer here is not a general survey of French thought, but an attempt to explain the style, the rhetoric, and the discursive techniques that are characteristic of French thinking. Mauritian-born Dr Sudhir Hazareesingh is University Professor in Politics and a Tutorial Fellow in Politics at Balliol College, Oxford. He is a fellow of the British Academy and winner of the Prix D’Histoire of the Fondation Napoleon for his 2006 book, The Legend of Napoleon. His In The Shadow of the General (Le Mythe Guallien) was published by Gallimard in France in 2010 and by OUP in 2011. 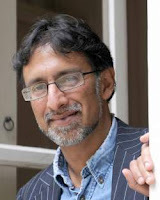 It was described as “inspiring and brilliant” in L’Express, “fascinating and beautifully measured” in the London Review of Books, and “perceptive and richly documented” in Le Monde, and was awarded the History Prize 2010 by the French Senate in recognition of a book which has helped to stimulate public reflection on the principles of good citizenship. I know of no other book that offers younger translators or anyone who wants to deepen their understanding of how the French think a more compact collection of insights, analyses and syntheses, not to mention the easy access to key names, references and quotations. I recommend this book to anyone who translates or hopes to translate documents dealing with the French elite, French philosophers and philosophies, editorials and high brow articles from French newspapers, magazines and other media, the role or writings of French intellectuals and countless related areas as a quick reference and a particularly concise background source, complete with key terminology and expressions in English. It is a pity, for translators at least, that Sudhir Hazareesingh didn't compile a website of the source material for the hundred of translated terms, expressions and quotations so that we could all make bitexts or translation memories of them. Perhaps a group of translators or translation students would like to take on the challenge. It would make an excellent resource? words, terms, expressions and quotations noted in passing for miscellaneous reasons.